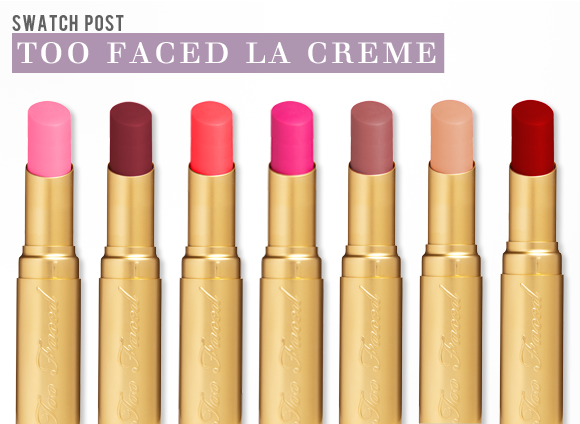 Just in time for the new season’s lipstick love affair comes the Too Faced La Creme Lip Cream, a sumptuous lipstick that is nourishing and highly pigmented. 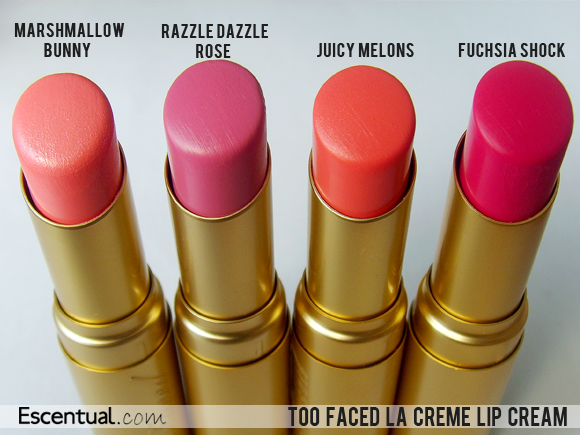 As the name suggests, the lip colour is creamy and works to protect and care for your pout as well as beautifying it. 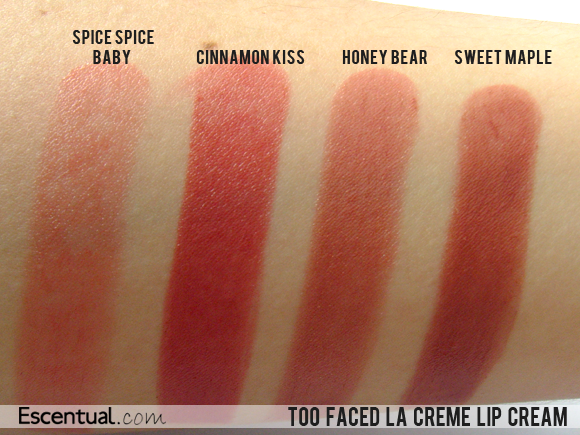 The lightweight formula has higher coverage than most lip colours, and feels like a luxurious balm on the lips. 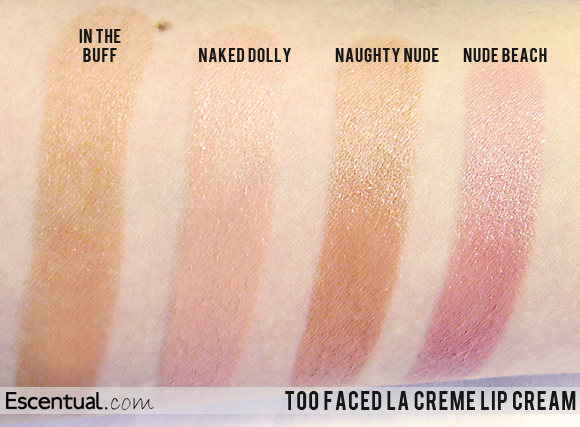 The range is split into four colourways: Nudes, Spices, Pinks and Reds. This offers you an entire wardrobe of high impact colour, from daytime classics to night-time brights. Ultra moisturising, the lipstick contains White Lotus Flower to keep skin supple, and power peptides to condition, firm, plump and smooth the area. 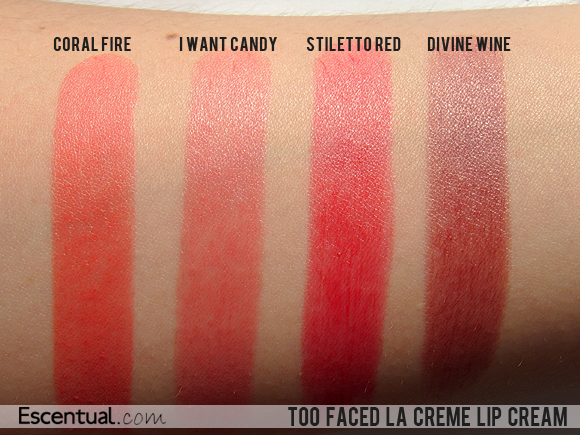 What more could you want from a lip colour? WOW! 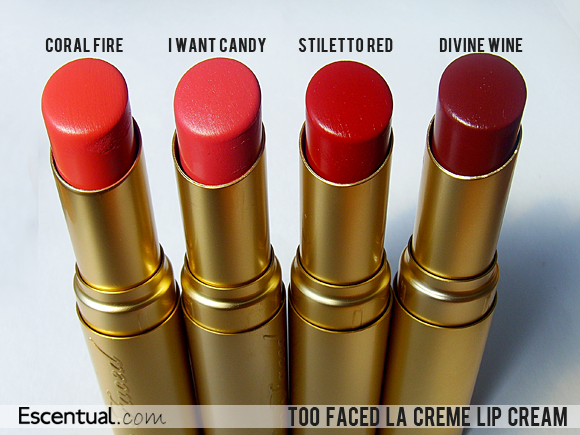 This lipstick is my all time fav, ever! 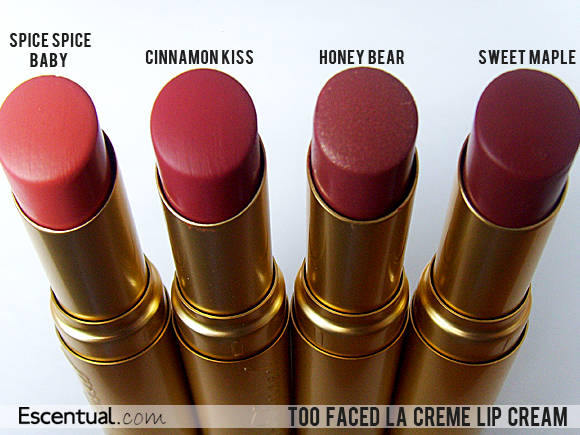 I have Honey Bear and it is the best creme rouge I have ever tried. Dior serum used to be my ONE, but this is much better. 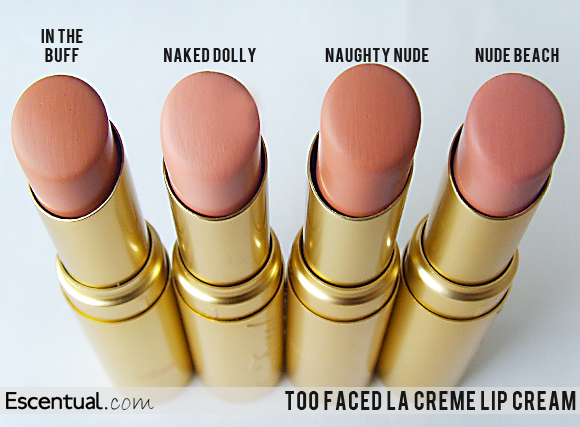 Staying power is good for a creme rouge and it hydrates excellently. This colour has tiny golden particles in it and it glowes as you put it on. Love love it! 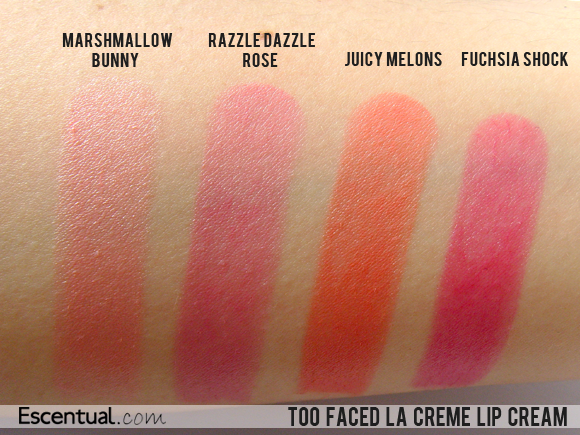 This entry was posted on Wednesday, September 12th, 2012 at 9:00 am and is filed under Make-up, Swatches, Tried & Tested. You can follow any responses to this entry through the RSS 2.0 feed. You can skip to the end and leave a response. Pinging is currently not allowed.